Filitheyo Island Resort is modern and stylish and includes an amazing house reef that drops 90 metres into the blue, offering unparalleled encounters with pelagic right on the reef edge. Medhufushi Island Resort is the perfect place for honeymooners and couples, a serene and authentic Maldivian resort offering a wonderful underwater experience full of colourful marine life. Blessed with pristine white sandy beaches and lush greenery, the Vilu Reef Beach & Spa Resort located 35 minutes south of Male boasts a treasure trove of gems waiting to be discovered by you. The MV Emperor Atoll is the ideal taster for those looking for their first liveaboard adventure offering high and comfortable standards, an outstanding itinerary and unforgettable underwater sightings. This Maldives Dive Safari 2014 award winner boat operated by Constellation Fleet is the ideal choice for those looking to explore the Maldives underwater realm in comfort and luxury. Male, the capital of the Maldives! A very popular luxury holiday or honeymoon destination with many tourist attractions and sights for you to enjoy. Feel the sea breeze on your skin & enjoy the best view on the island. Body Treatments, Salon Services and Kids Treatments. Our 5 day and 4 night sarai trip to Sri Lanka with the Aggressor Safari Lodge will treat you to exciting jeep safaris around Wilpattu and Minneriya National Parks where you can see the large game of Wilpattu plus many other animals and birds in their natural jungle habitat. The most well-known atoll in the whole of the Maldives, Male is home to the only international airport as well as some spectacular coral reefs and a wide range of pelagic and reef fish life. 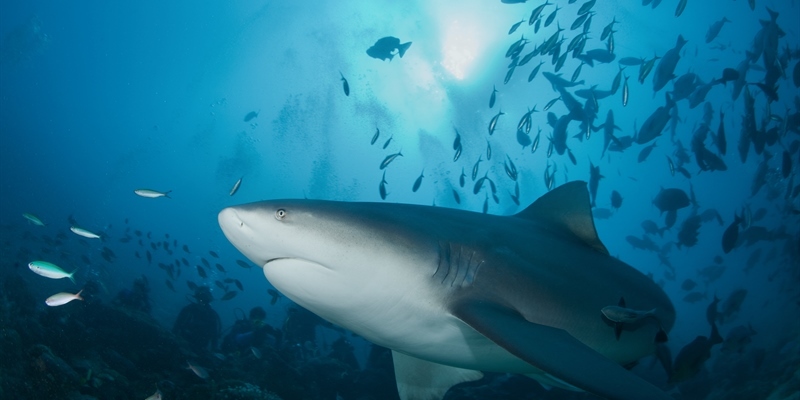 With new dive sites being discovered each week, the Southern Region of the Maldives will not disappoint. 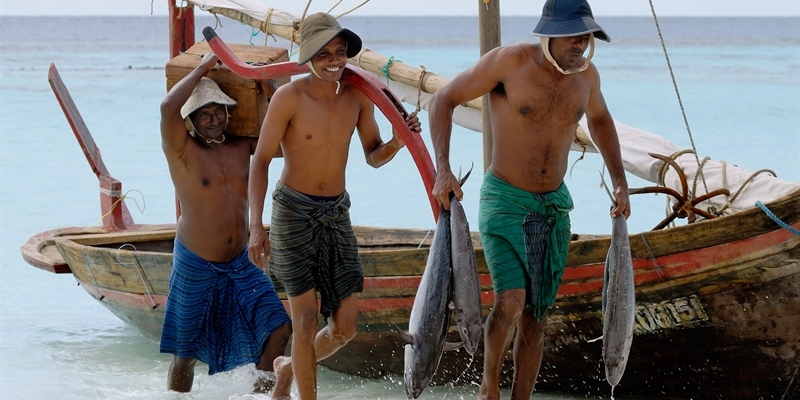 From the far south of Addu Atoll to channels bustling with fish life. With such a variety, it is no wonder the Maldives is rated in the top 5 destinations to go in the world. You will not be disappointed! 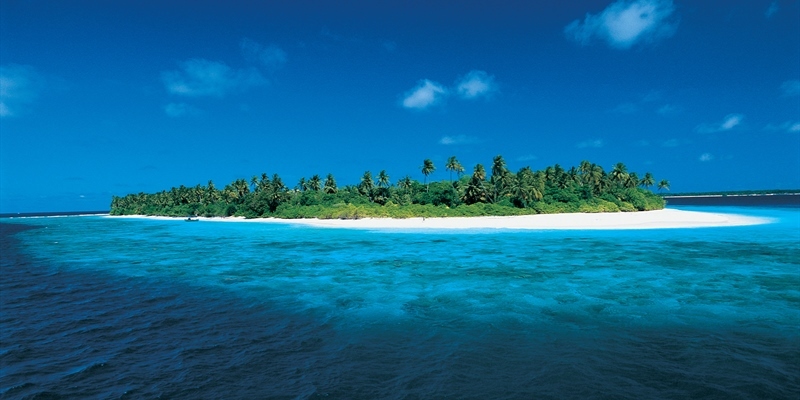 The Maldives is the ideal destination for a romantic beach holiday or a diving adventure. Its dazzling white sand beaches, wonderful diving and all-inclusive resorts and liveaboards makes this destination the complete escapist paradise! 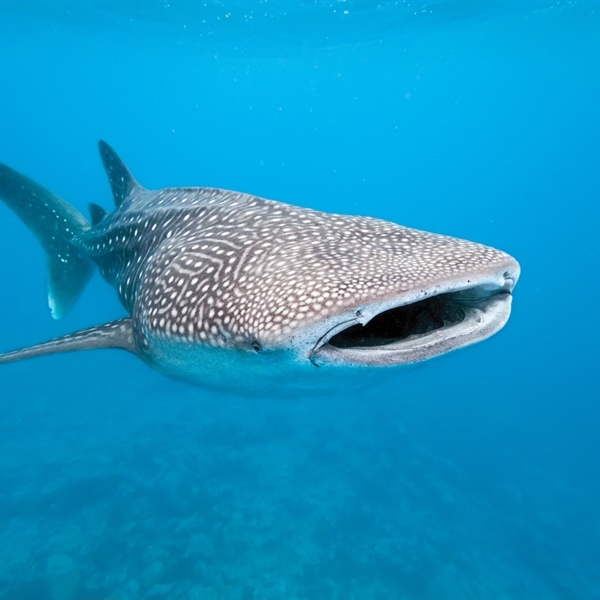 Maldives is one of the top places to dive around the world with vast opportunities to spot whale sharks, mantas, dolphins, turtles and much more. An authentic paradise for pelagic lovers but that’s not all, this destination with thousands of low-lying islands is also home to big schools of fish patrolling the reefs full of soft and hard colourful corals where you can immerse yourself looking for tons of nudibranchs, worms and other little fish. 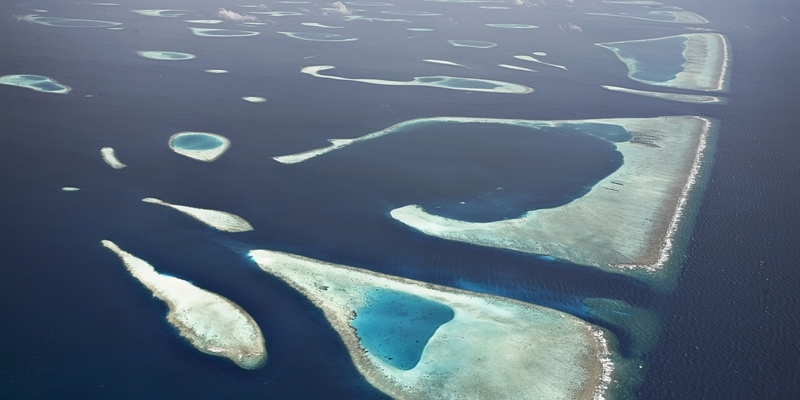 The Maldives hosts over 1190 island and 26 atolls. 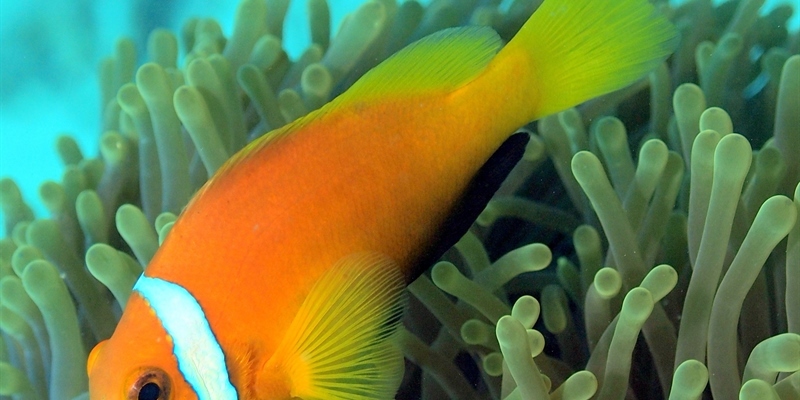 The variety of fish and reef life is fantastic and totally varies between one atoll and another. With unexplored dive sites in the far south around Addu Atoll to the world famous dive sites around Male and Ari Atoll, you will have a smile the whole time you are on your underwater adventure. Situated in the Indian Ocean near to Sri Lanka the Maldives is home to some of the most outstanding coral reefs in the world. 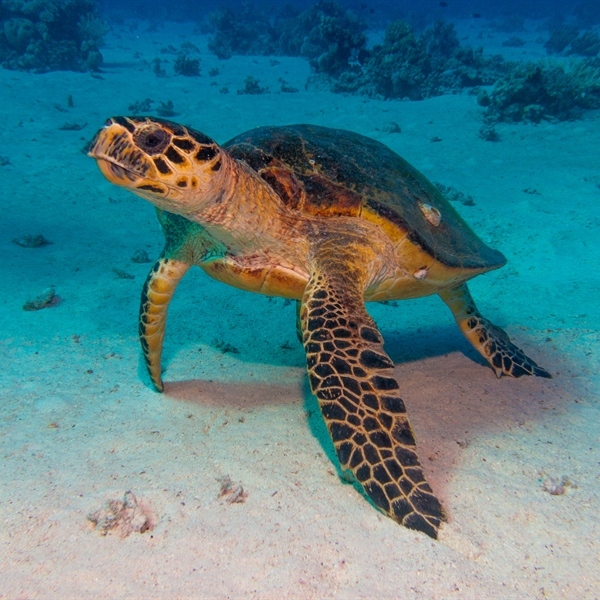 The rich sea waters that drift in on the many currents feed these reefs and draw in many pelagic fish, such as whale sharks and manta rays who share their idyllic home with an assortment of other large species, such as hammerhead, white and black tip and leopard sharks, as well as turtles, rays and barracuda to name a few. 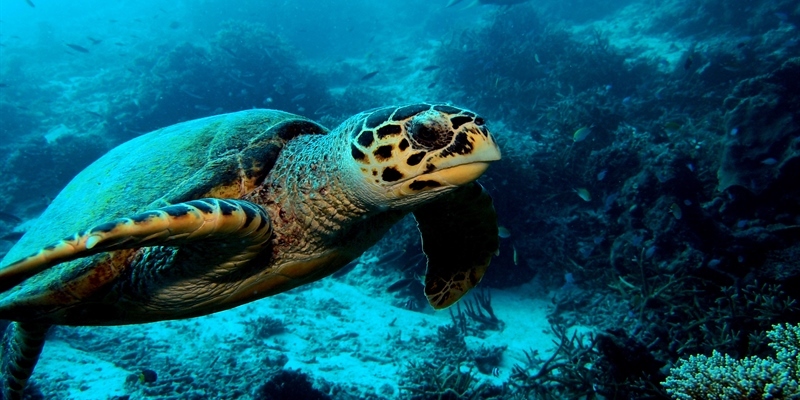 The Maldives is a fantastic location for both shore and liveaboard diving. For the more experienced and confident diver a liveaboard is definitely the best way to see the most in a short space of time, however for less experienced divers or complete novices then shore diving is definitely the best option. With strong currents ripping through many of the more exposed dive sites that liveaboards visit, diving from the shore can offer you the same spectacular experience in a much calmer environment. Almost every resort hosts entertainment in the evenings, from live bands to karaoke nights, you will able to relax and enjoy whilst sipping on a freshly made cocktail or a local beer. We would definitely recommend you sit out and watch the fabulous views of the sunset each evening lighting the sky up in fabulous colours of red and orange. Alternatively the night diving around the Maldives is highly recommended by all. You can see an array of different sights at night underwater and many people describe the views as out of this world. From the occasional sightings of feeding sharks on the reef to the comical bubble that parrot fish sleep in and the fabulous colours of the corals you will have trouble sleeping from all of the excitement! Resorts can be expensive, however there are many more reasonable resorts now than in the past. All resorts offer all inclusive and full board basis so for most guests the only additional costs will be additional alcohol and any souvenirs purchased. Immunisation against typhoid, hepatitis A and polio are recommended but are not a requirement. The weather in the Maldives is fairly complex, however in general the North-East Monsoon, which runs from December to May, is a dry monsoon and this brings calm waters and sunny skies to most of the Maldives. The South-West Monsoon is a wet monsoon, running from June to November this often brings much choppier waters and rain. However, the temperature in the Maldives rarely strays from a very pleasant 30°C and the waters temperatures average between 26°C to 29°C. 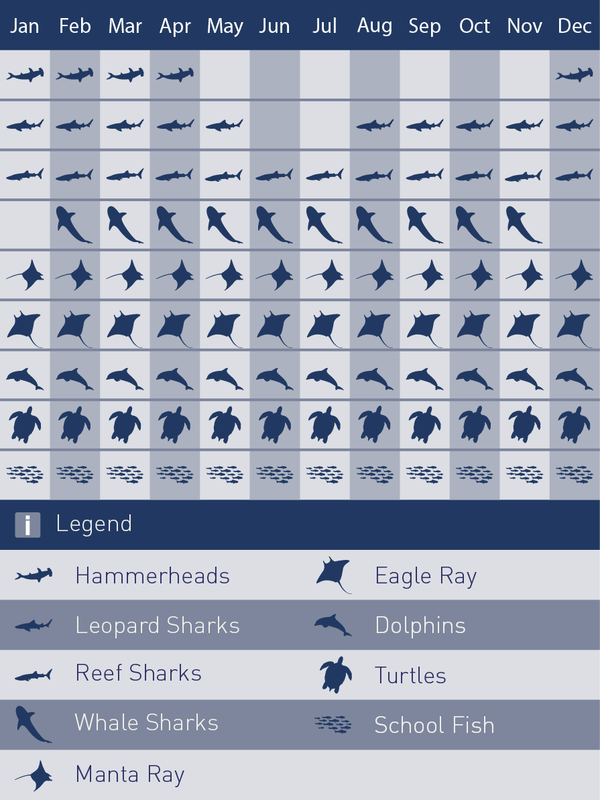 Best diving season is from December to May in general for the whole of the Maldives. This is when the waters are at their calmest and most nutrient rich. 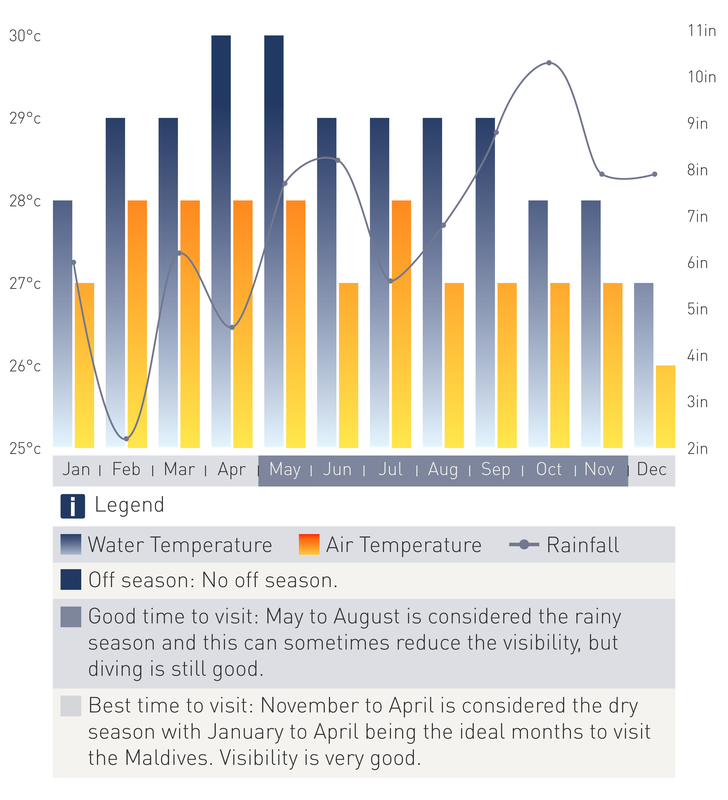 The visibility throughout the whole year rarely dips below 25 metres. Book by 28/02/18 in any room category and receive a special Discount on meal plan booked - Valid for stays between the 01/04/18 - 30/04/18. Get a special discounton meal plan booked. Supplements are per person when any number of guests occupy a room. Applicable to all room types. First and last night of stay must fall within the date bands below. Complimentary welcome drink upon check-in for each guest. Date From 01/04/2018 to 30/04/2018. Complimentary welcome drink upon check-in for each guest. Save $700 off all Agressor Yachts on travel from 28/04/2018 to 30/08/2018. Saving available on all aggresor Yachts. Offer valid for all standard cabins on all trips. World class diving at the best dive site in Meemu-, Laamu- and Thaa- Atoll. For the 7-day southern trips, a minimum of 60 logged dives and for the 14-day southern trips a minimum of 100 logged dives is required.